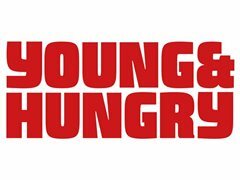 Young & Hungry is looking for four up-and-coming professional Maori actors for the 2019 Y&H Tour to secondary schools, I AM MAORI. Directed by Nancy Brunning, I AM MAORI showcases extracts from plays by Maori playwrights. Confirmed excerpts include scenes from Hone Kouka’s Waiora, Briar Grace-Smith’s Nga Pou Wahine and Astroman by Albert Belz. Y&H tours takes New Zealand theatre to secondary schools, universities and youth theatre groups around the country. Created to support the drama curriculum, it showcases a themed collection of New Zealand playwrights, tells New Zealand stories, addresses issues that are relevant to New Zealand youth, and employs New Zealand actors at the start of their professional careers. Performed in traverse, the bare-bones 45 min show requires no lighting or sound set up and minimal set/props. There is a Q&A built into the programme. Touring 30th April – 22nd June, the tour offers eleven weeks’ full time work for emerging actors.